The Nation, which had covered American involvement in Vietnam critically since the early 1950s, may have been a touch peeved at the credit The New York Times and The Washington Post, late-comers to dissidence, were receiving for the publication of the Pentagon Papers, leaked by Daniel Ellsberg. The following article, “Vietnam: How the Press Went Along” (October 11, 1971), was written by Susan Welch, a member of the political science faculty of the University of Nebraska. The conflict between the government and the press over the publication of the Pentagon Papers has provided a convenient occasion to examine the role of the journalists during earlier stages of the American involvement in Indochina. Over the last six years the press has reported many anti-governmental viewpoints on the war, and in so doing has suffered a good deal of criticism, particularly from the Johnson and Nixon administrations. 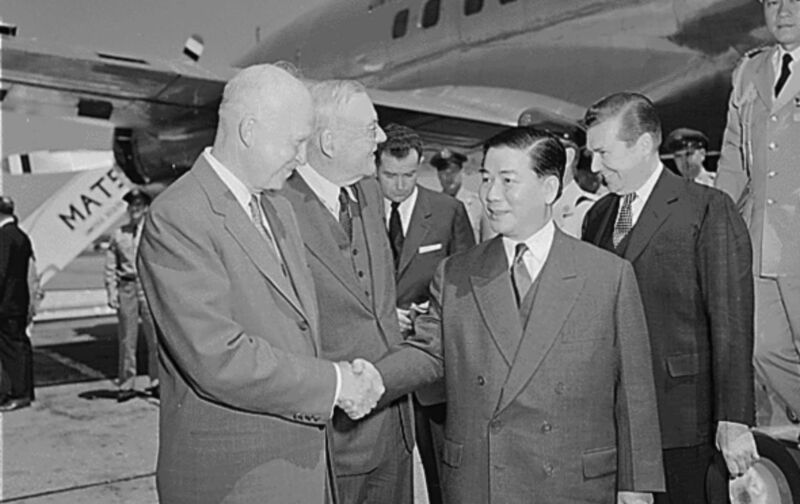 But, looking back at coverage of two decades ago, one finds that the press played a key part in promulgating the view that Indochina was an area of vital interest to the United States. This was of course the view of the Truman and Eisenhower administrations, and the press, with some exceptions, relayed it to the public with a good deal of faithfulness. A review of four major metropolitan papers—The New York Times, The Washington Post, the Chicago Tribune, and the San Francisco Chronicle—from 1950-56 recalls a treatment of the Indochinese issue that is in significant contrast to reporting on the war today.